On January 15 at 7 PM at the Center for Jewish History, a concert co-sponsored by YIVO, the American Society for Jewish Music, and the Center for Tradition Music and Dance wlll celebrate the long-awaited, new CD release of Two Worlds/Tsvey Veltn (Golden Horn Records) by the rising Yiddish musician Benjy Fox-Rosen and his band. 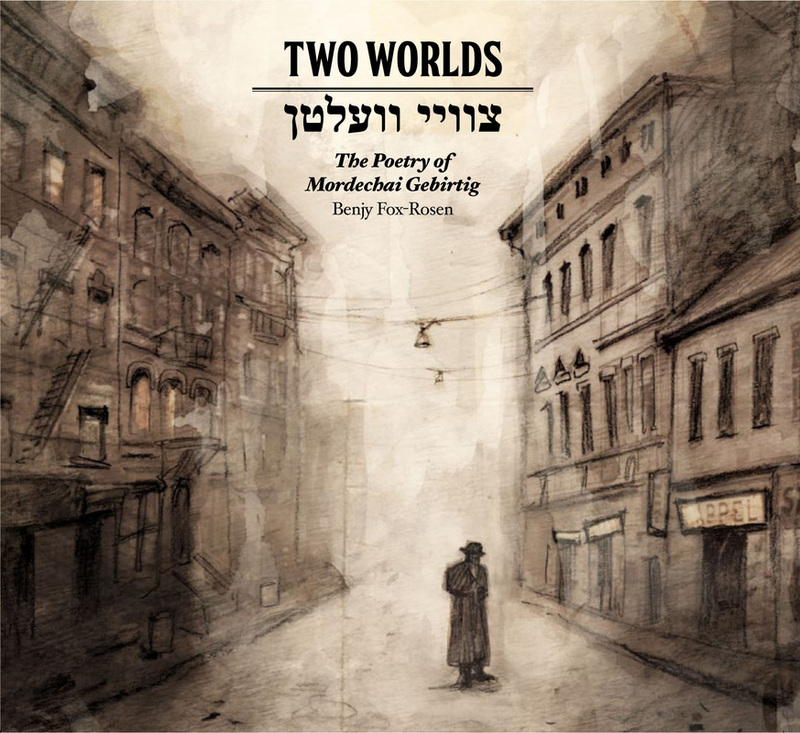 This CD is a stunning new song cycle based on the poetry of master Yiddish and Polish writer Mordechai Gebirtig (1877-1942). Combining traditional and new music, Yiddish folk, theatre and cabaret music, Fox-Rosen interprets Gebirtig’s poetry and searing depictions of Poland before and during World War II with striking insight and brilliance. Mordechai Gebirtig’s work captures the dynamic life of Polish Jewry before World War II. Gebirtig’s first songs were songs for children, lullabies, and love songs. A master poet, Gebirtig’s songs spread quickly even before they were published, and were adopted by such leading Yiddish players such as Molly Picon. When pogroms began in Poland, the poet’s songwriting turned dark: his songs leading up to the Nazi occupation mourn the victims of riots, dream of revenge, or simply express pain, as in S’tut vey or It Hurts. Fox-Rosen’s ensemble includes a lineup of internationally accomplished, genre-transcending musicians who have performed with such noted musicians as Yo-Yo Ma, Itzhak Perlman, Frank London, Ben Holmes, Alicia Svigals and others. The band includes: Jason Nazary (drums), Avi Fox-Rosen (guitar, banjo), Patrick Farrell (accordion), and Michael Winograd (clarinet). Following the concert, there will be an artist talkback with Fox-Rosen, master Yiddish musician Joshua Waletsky, Pete Rushefsky, Director of the Center for Traditional Music and Dance, and Amanda Scherbenske, Executive Director of ASJM's Jewish Music Forum, a scholar of new Jewish music.